What can we do to create a sticky group, one where people return and stay? If the research conducted by Dr. Rainer holds true (see that post here) there are a few big things we can do as Bible study leaders to get people to return and stay. First of all, we can involve them in the life of the group. Most groups have a core that does most of the work of planning the parties, making the coffee, and keeping up with absentees. I realize some may feel like they earned the role, but what keeps us from finding more ways of involving people in the work of the group? One way of involving new group members is allowing them to be greeters. This allows them to meet everyone who attends while still being aware of the needs of new people joining the group. We can also be intentional about involving everyone in the actual study time. Allowing discussion to take place in smaller groups, crafting questions that don’t assume prior participation, and asking people prior to the group time to read a passage or lead a breakout discussion are actions that will go a long way toward creating a sticky group. Whatever you call your groups, everyone attending expects there to be Bible study. If the purpose of your group is not built around Bible study, then you may need to rethink what you call your group and why you meet. Most of us have been in groups that are focused on football scores, political debates, and personal stories. We could get that from most service organizations. If it is a Bible study group, then the Bible ought to be front and center. 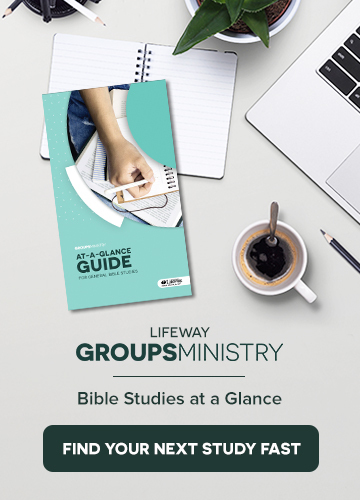 Beyond studying the Bible, we can help our group members understand how to better use Bible study tools. We can show them how to use a Bible concordance or Bible dictionary as opposed to simply telling them what we found. Better yet, we could hand a Bible dictionary to a group member and walk them through the steps of using the resource. The way we lead the group time matters. Most of us have attended a class or group where we felt more like an item than a person. We received a different kind of name tag, were asked to do things no one else was asked to do (like being the only one asked to introduce yourself to the group), or being the only one without a study guide. As the leader, we need to think of our group as a set of individuals who happen to be in a group. Groups tend to be viewed like an institution, losing individual personality in the process. In effect, we are fostering an open group culture by the way we as the leaders treat all attendees of our groups. Groups easily become closed without even trying. We may allow new people to join us and still be closed by how we as a group treat them. Our treating each individual as a valued person will help move others to do the same. What actions have you found helpful for getting people to stick in your group? Argh! Those “no’s” are never easy to hear. My normal response to “no” was to thank them for considering it while doing all I can to hide my disappointment. As fast as possible I would hang up the phone and move on to my next call. Little did I know how short-sighted my response was. I had reduced recruiting to “filling a spot”. Their “no” was not only causing me to miss the opportunity to affirm and come alongside them, but also to team with them for years to come in recruiting and raising up new leaders. This realization sent me back to the drawing board on what recruiting was really about. Here are four strategies that helped us stop recruiting to fill the position, truly affirm people in what God was calling them to do, and empower them to be part of our team for years to come. 1. Reframing Rejection: A Pastoral moment to affirm the yes behind the no! A no usually means a yes to something else. All too often we’re afraid to ask someone what’s happening in their lives, causing them to say “no.” But asking “why” is important. If it’s misaligned expectations, a conversation could easily change the outcome. But more often than not, potential leaders have legitimate commitments to family, health issues, work, other ministries or hobbies that are consuming their time. These are the yes’ behind the no. These kind of yes’ are a pastoral opportunity to be intentional with that person, coming alongside to listen and understand their no to you, maybe an important yes to God. How you handle this won’t be forgotten and how they see what they have to offer the Kingdom. 3. Keeping the Door Open to Future Potential: Ask if you can ask again. 4. Building Relational Capital: Staying in their moment, not yours. Even though someone has given you permission to call them back six months to a year later, the conversation needs to be as much about them and how they are doing, than just your need for more leaders. That’s why you need to write down the reason someone told you no the first time you called them. When I start this call-back conversation engaged and curious asking how their coaching little league went or getting an update on their parent’s health (both good reasons why they said no), most are surprised I actually remember those details. It will also help you know if there’s no way you should be asking them to lead because they’re in the same situation they had been in the past. A call not ending up in an ask reveals once again that you care more about them than just filling a slot. Let’s be clear. Recruiting is hard work and rarely effective during office hours only. It’s one of the most challenging roles we have in ministry. It’s also one of the most rewarding opportunities we have to be involved in. It multiples impact, discipleship, and evangelism. Every follower of Jesus we call to lead has a desire and passion to make a kingdom impact (Ephesians 2:10). It might be hard to see, but it’s there. Don’t let a “no” and a need to fill some slots cause you to miss it! God clearly wants His children to get along. His will is for Christians to be unified. But unity doesn’t just happen within a group of people simply because they all decided to join the same church. Unity takes work. It takes sacrifice. It requires individuals who recognize they can serve as a unifying or divisive force within the body—and choose to seek unity. The same principle applies to those of us in the church today. If we say we are following Jesus, our treatment of other believers ought to corroborate our testimony, not conflict with it. So, how should we treat one another today as followers of Christ? Paul laid out several characteristics in verse 2: humility, gentleness, patience, and loving acceptance. Gentleness is linked with humility. Being gentle isn’t the same as being a doormat. It isn’t being weak or cowardly. Rather, it involves showing kindness. It means being considerate of others. Those who are gentle don’t demand their own way or grasp for power. Jesus showed gentleness by welcoming little children who wanted to be near Him (see Matt. 19:14). He was gentle when He offered encouragement rather than condemnation to the woman caught in adultery (see John 8:10-11). Each of these attributes is vital to maintaining unity within the church. Whether your small group will be brand new in 2019 or you have been meeting for awhile, a good icebreaker question or activity is a great way to get the conversation going at that first meeting in January. Icebreakers help everyone in the group feel more comfortable about entering the discussion before the Bible study starts. You can see our 2018 list here. Pass a bag of M&M’s around and tell everyone to take a few. Then, before they eat them ask them to share something for every M&M. For example, something about their family for every red one, something about their plans for the future for every green one, etc. Pass out 3-5 sticky notes to each person in the group. Instruct group members to write one life catalyst that helped make them who they are today on each sticky note. It can be the name of an influential person or a life event. Then have each person share their sticky notes with the rest of the group as they stick them on a wall or on a large poster board. Bring a newspaper or magazine. Have each person tear out a picture, article or anything they think tells something about themselves. If there’s enough time they can make a collage that tells more about themselves. Ask group members to share their most used emoji and why they like it. As a bonus, have them show the the group the emoji on their phone. What is your favorite item you’ve bought this year? Who is your favorite Disney hero or heroine? Would you trade places with them? If you could add anyone to Mount Rushmore who would it be; why?